New Page — Sugar Drop Inc.
what it takes to survive the Sugar Rush? 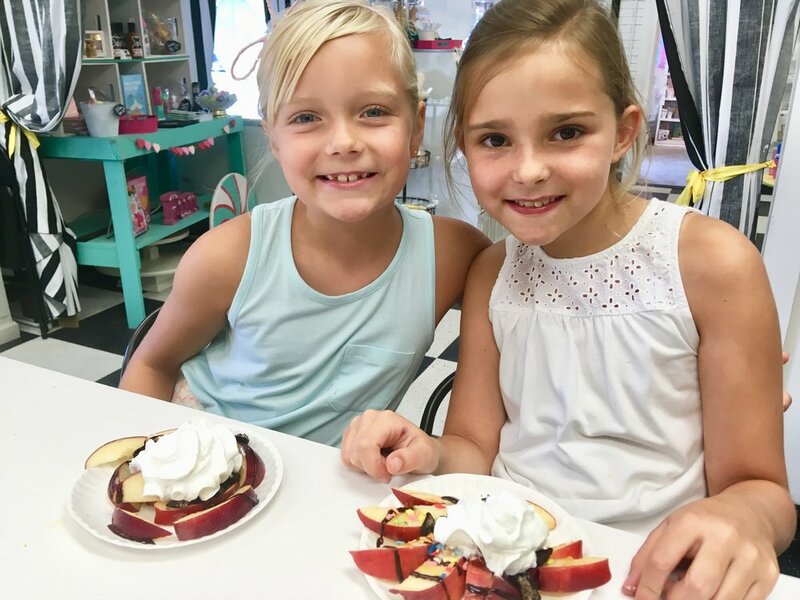 Our dream behind Camp Sugar Drop was to create a safe, hands-on kitchen-classroom environment where kids can come meet a friend, play with food, make some messes, learn new skills, and have fun! 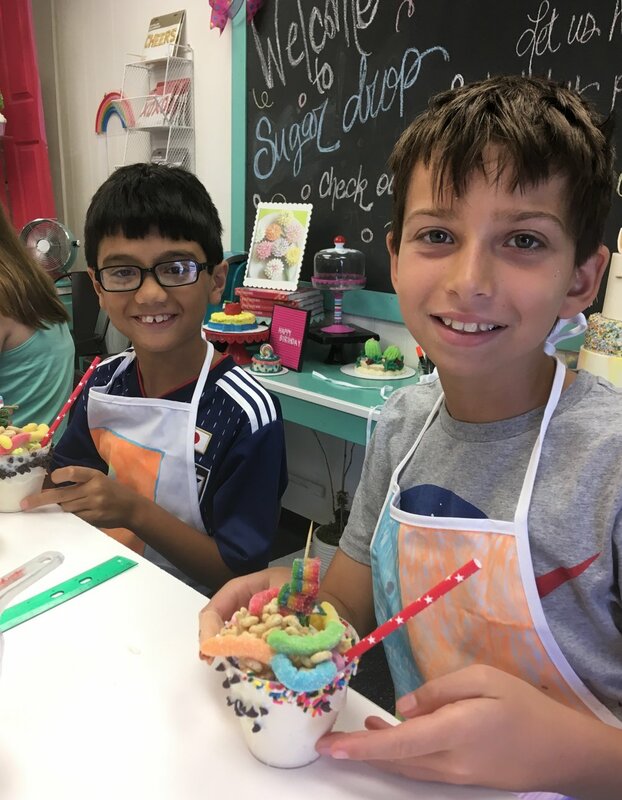 In summer 2018, Sugar Drop hosted its first Camp Sugar Drop with four weeks of international menus including stops in France and Italy. Students were able to create sauces, pastries, and other desserts from each county with hands on instruction during each recipe. Sugar Drop followed up with a winter camp in 2019 where students took a three day journey into the sugar world. The goal of Camp Sugar Drop is to encourage kids to play with their food! We want to support the dreamers - those who want to own their own bakery or go on to be the next Great Baker! Our camp allows for students to learn the workings of a real commercial kitchen with step-by-step instructional teaching. We want students to use food, especially sugar, as an edible canvas to create whatever they can imagine, all while learning a variety of techniques, including mixing, baking, knife work, cleanliness, and much more. Sugar Drop is excited to announce Camp Sugar Drop 2019! Each of the six weeks has been carefully planned and will include lessons in baking, mixing, cooking, and preparing salty and savory foods. Camp Sugar Drop will also be hosting three local instructors: Laura of Laura’s Custom Cookies, Julie Berryman of CraziCakes and private chef Keshia Hay of Sip and Bite Cocktail. At the end of the week, students will leave with a shirt, apron, bag of goodies, new set of friends, lots of handmade creations, and pride in knowing that they have survived the sugar rush! Unless otherwise noted, Camp Sugar Drop is recommended for ages 8 and up.